I joined NYWICI as a member in 2004 and was the managing editor of the organization’s website, nywici.org, from 2006 until 2018. In that capacity, I took part in numerous redesigns. 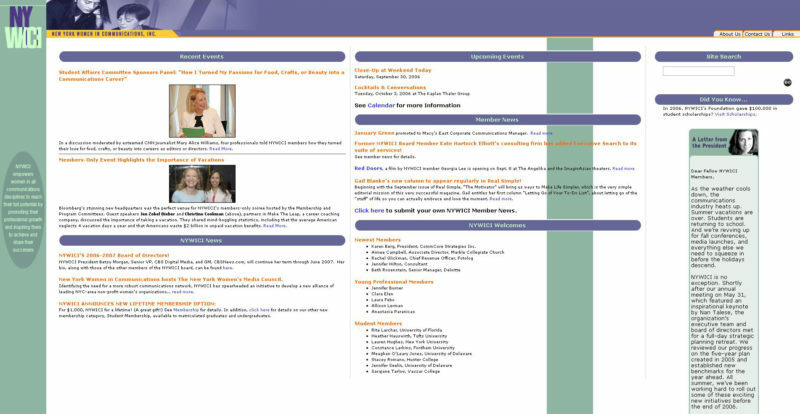 In 2009, we redesigned the website, and in 2013, we moved it to Drupal. I continued as its lead front-end editor, content strategist and content creator. 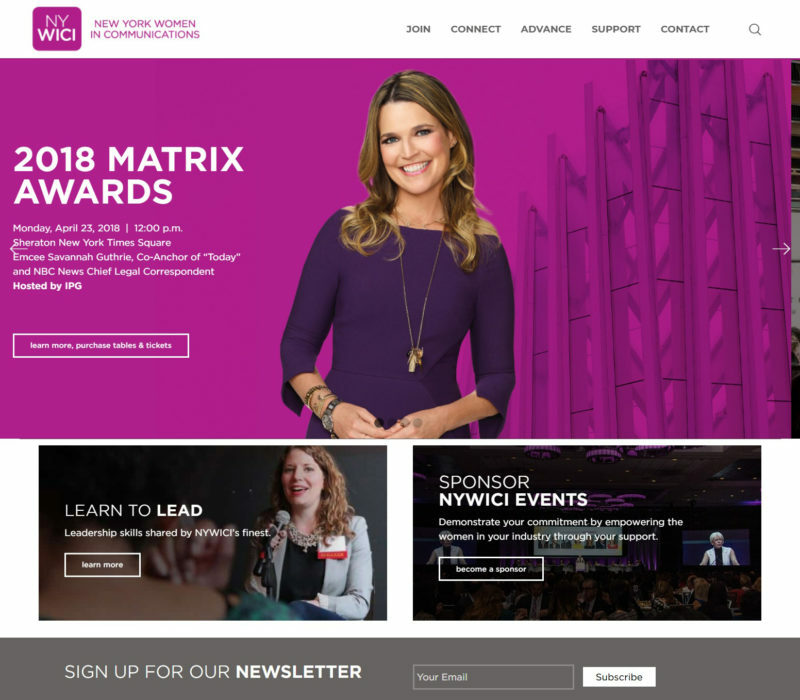 In 2018, New York Women in Communications’ website was redesigned again and moved to WordPress. As certified WordPress Developer, I was involved in the back-end customization and front-end adjustments of the site’s theme, as well as in the site’s content strategy and navigation. 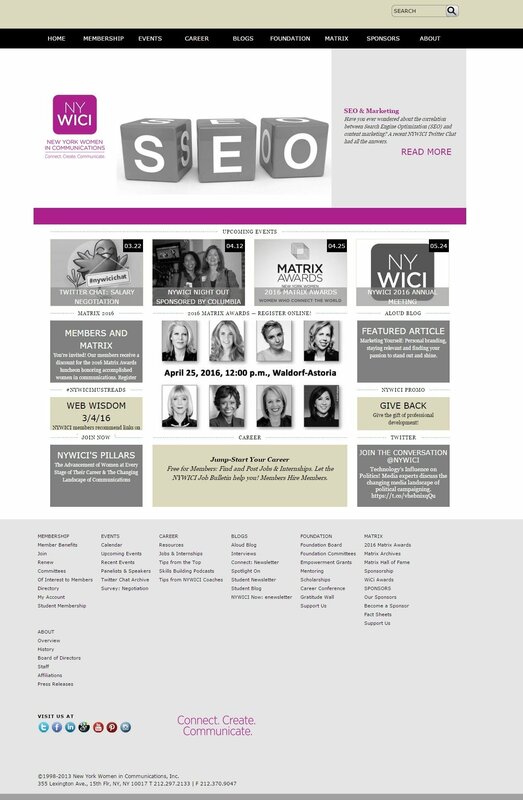 In addition, I deployed content from the old to the new site. The images show the various design phases we went through over the years. Over the years, I also served as the website’s chief content strategist and front-end administrator. I updated the site on a regular basis, including articles, blog posts, slideshows, images and videos. I also scheduled, curated, assigned and edited each piece of editorial content that I uploaded to the site.